In a world where consumers buy anything from socks to smart TVs at the push of a button, it is no surprise that students also have the opportunity to find their new off-campus house from the comfort of their old one. This is the premise behind the “Boston University (BU) Housing, Sublets & Roommates” Facebook page. The page acts as a hub for its more than 22,000 members to both list and rent housing. 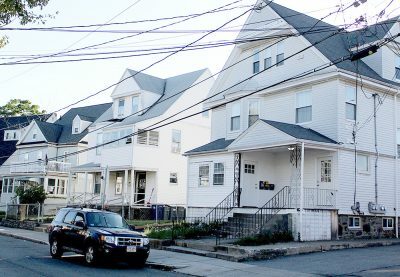 The site offers a wide variety of housing options at a range of prices, from a North End room listed at $1,000 to a seven bedroom apartment in Mission Hill at $6,400 per month. Maya Gogia, a junior in the School of Hospitality Administration, said the Boston University (BU) Housing, Sublets & Roommates Facebook page helped her compare listings. Jake Mellen, a junior studying sociology in the College of Arts and Sciences, also said he found his off-campus housing on the page. While Mellen said that the online process simplified his off campus housing search, others said they were not as fortunate. For students looking for a place to live who use the online approach, scams are not a rare occurrence. Timmy Huynh, a rental and sales associate at Comm. Ave. Associates, said he witnessed a scam with a student. In an attempt to reduce the number of scams that occur on these online housing markets, Joyce Wu, a former Zillow software engineer, founded Cluck. Cluck verifies listings by visiting properties that their clients can’t go to and taking photos for $49. When asked if he thought Cluck would help his own property search, Mellen said he thought that it would. Huynh said he was concerned that an online service like Cluck could be inaccurate and lead to mischaracterization of some properties. Huynh also said that users may miss out on properties they would have found with a physical broker. Mellen said that despite its potential pitfalls, living off campus is enjoyable because it offers greater freedom and is less expensive.